An unofficial go-slow by airline workers has grounded a number of flights in Israel over the past week. 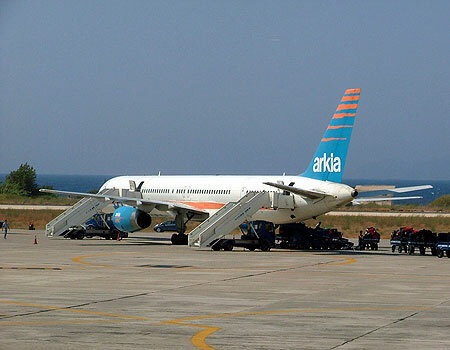 Workers at Eilat-based Arkia Airlines have been staging the work-to-rule as part of an on-going dispute with management. A number of flights have had to be cancelled recently owing to "technical difficulties". In reality, airline staff have decided amongst themselves to make things as difficult as possible for the company to operate smoothly until demands over pay and conditions are met. The airline, argue workers, has not upheld its promises over payrises. A ground steward worker told Ynet news workers are "working by the book and not rushing anything. Before we used to do anything to overcome problems, now we take care of it slowly and patiently. I know that this is being done at the expense of the passengers but management has left us no other option." There had previously been threats to strike, but no official action had been taken. Instead workers seem to be copying tactics used widely by airport workers in Italy.